Once a small scale company, transformed into a highly respected and transparent group with good governance.Highly capable management with excellent track record. 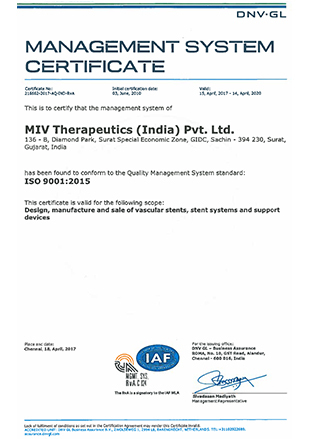 MIV Therapeutics (India) Pvt. Ltd. was incorporated in 2003 with 4 employees in core; now it rises to 100 employees all over India. 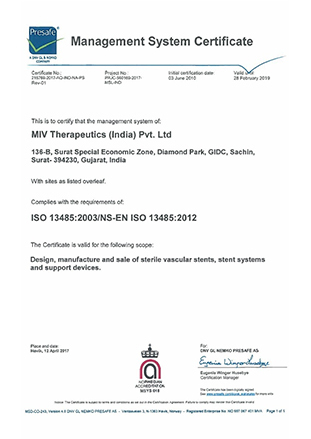 MIV Therapeutics (India) Pvt. Ltd. was acquired by MIV Therapeutics Inc, Atlanta, USA in the month of September 2006. MIV Therapeutics (India) Pvt. Ltd. has a operation in domestic (India) as well as internationally in various countries. The company works as a team of professionals ably headed by the Board of Directors and every functional head is qualified to justify the participation in company’s growth and the growth of the industrial infrastructure. These heads are further supported by the qualified subordinates to achieve the goals as team to deliver their functional activities and responsibilities. To be the most respected and admired Medical Device Company of Indian origin with Global presence promoting Cost Effective Medical Devices and Services. To Innovate and provide Medical Devices, Services and Solutions to make Health care Affordable and Accessible to All. 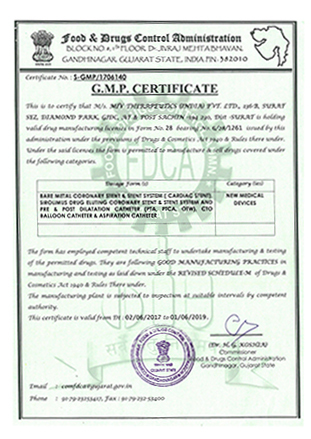 Our Manufacturing facility is established on rock solid cGMP guidelines. Our facility is GMP, ISO 9001 and ISO 13485 certified. Our products are Indian FDA approved and CE marked.